This is a such a beautiful tribute to Gram. I miss her all the time. At times it can be so lonely in this big house without her. I am so lucky to have lived with her for 16 years, gaining wisdom, raising my children and learning how important unconditional love is. She was such a gift to me and the best mother-in-law ever! I’m so glad you like the post, kim. and you were one lucky person to get to live with that lady. we still miss her all the time, too…oh gram, we love you. What a great post Jane! I agree that love is such a wonderful wonderful thing that live has to offer us and can be many things to many people and knowing such a woman as you did will give you a guide for life I am sure. thanks for your comment, bailie. much love! What a beautiful post. What a beautiful soul. 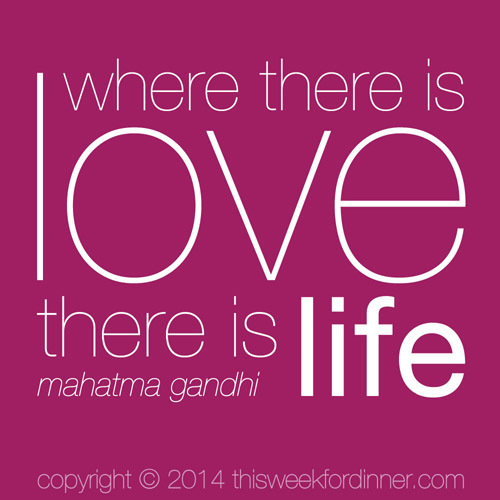 I love this, and I completely agree… all you need is love. You have no idea how much I needed to read this right now. Love IS all you need. And cookies. Love IS all you need…cookies/other baked goods don’t hurt either. Much love to you and your family! She sounds like an amazing woman…and she left the greatest legacy anyone could leave…the legacy of love. Both in your feelings for her, and in the love you pass on to your children. Forks! 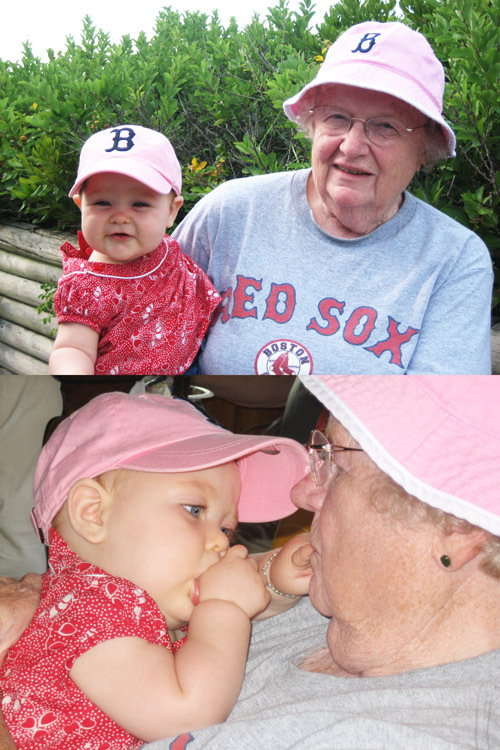 Those pics made me well up..nothing sweeter than baby pics with a doting Gramma. wow what a lovely post. this is exactly how i felt about my grandpa. unremarkable by some standards in that he wasnt famous, didnt cure cancer, etc. BUT he was the world’s best grandpa and did so much for some many people in such a simple way. i think of him constantly which is a trubute to his silent presence in my life. he taught me so many lessons without saying a word which is so important to me now. i LOVE how you use the word ripples. Thats what i feel like he was. nothing overt or pushy but ripples of wisdom through the years touching many different people. what a great way to think about it !